Arduino compatible, Atmel SAM D21 chip, open source! 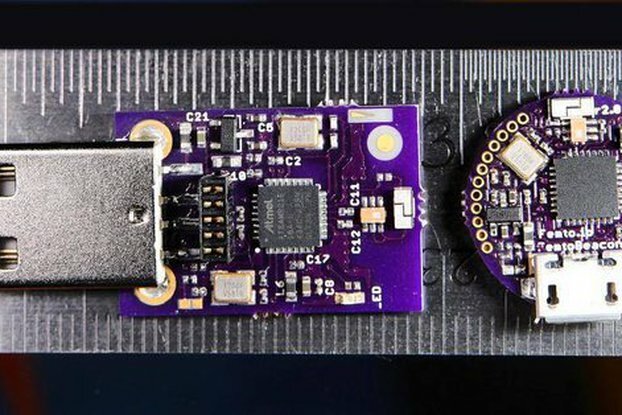 This is one of the smallest ARM powered boards in the world. If you are ready to transition away from AVR 8-bit hardware to the very powerful ARM 32-bit stuff, this is the way to learn! 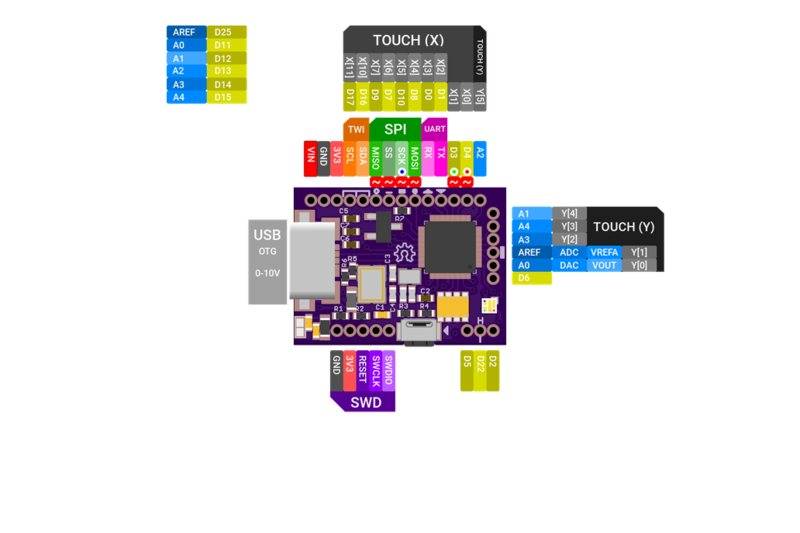 The board design, schematic, and parts lists are completely open-source. We are shipping revision 1.0.1, which now includes Arduino support, a low power 32.768MHz crystal, USB Host capabilities, and an onboard RGB LED + push button. 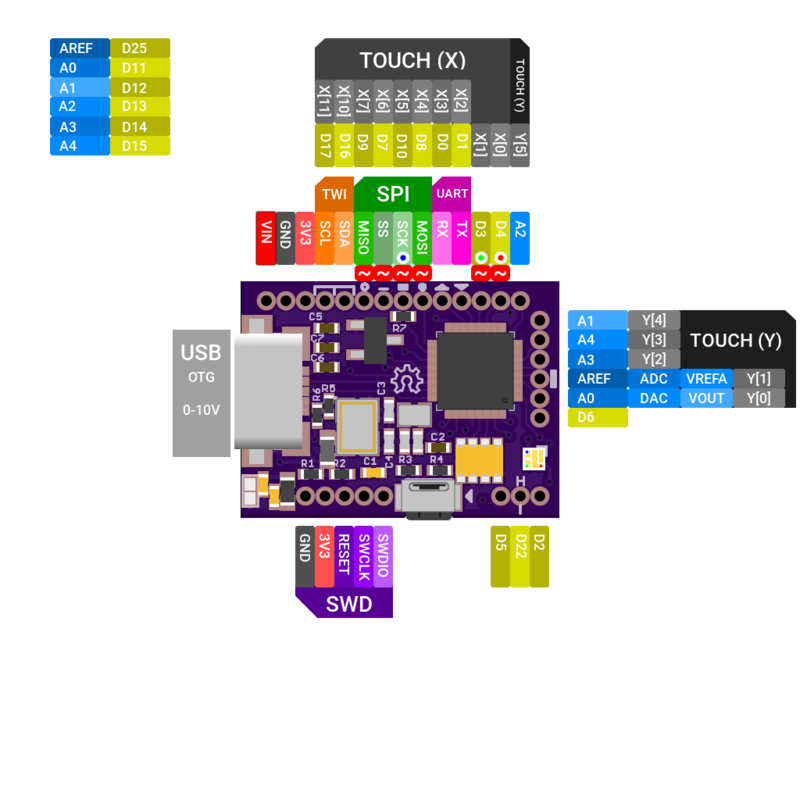 To give the maker community an easy way to learn ARM design! Before the release of the FemtoUSB, learning to design for ARM chips was very difficult. Compiling a tool chain? What does the most basic schematic for an ARM chip even look like? What in the world is JTAG? 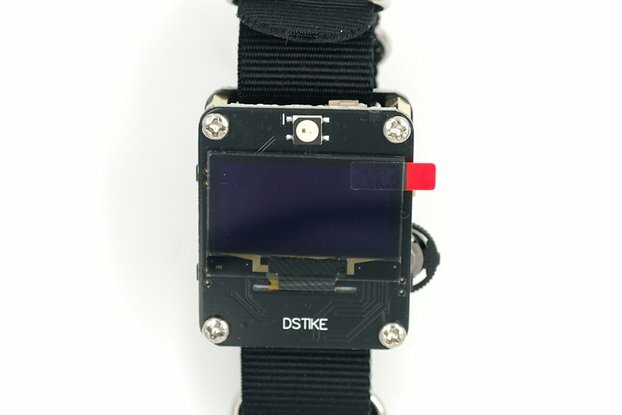 With this project, I've documented the basics, and made a path into ARM design for everyone. The FemtoUSB is design to be simple! 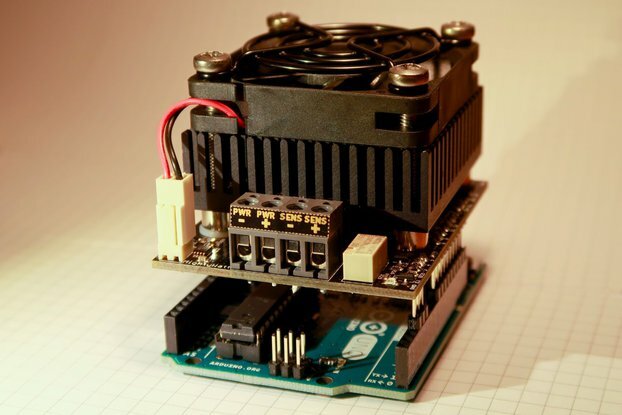 What you learn with this design will teach you the basics for all other types of ARM chips. Best of all, the entire design, build suite, and examples are open source! You don't need shockingly expensive tools, or vendor locked software to work with Atmel's line of ARM chips! Did I mention it's easy to learn? We are working with Arduino Devs to have broader support of the Atmel SAM D21 chips (the same chip used on the Arduino Zero). UPDATE: We now provide an Arduino core and bootloader for the SAM D21E, based on the Arduino Zero (but different pin count). This works w/ revision 1.0.1 or higher, as a 32.768KHz crystal is required. 3.3V On-board regulator (VIN line). Supply up to 10V, regulated down to 3.3V on the 3V3 line. We pre-load the SAM-BA bootloader, so you can upload compiled examples over USB, thanks to the open source BOSSA utility! Design comes in standard 0.1in (2.54mm) pin spacing design for breadboards, and the smaller 0.05in (1.27mm) pin spacing design for ultra small projects. United States Postal Service: Sent in a padded envelope via USPS. Sent in a padded envelope via USPS. USPS Priority Mail (3-5 day). Includes tracking number within the USA. We send your order the same day when your order is received by 1pm PST, Monday through Friday. Orders received after 1pm PST Monday through Friday are sent the next business day. Really amazed at all the capabilities in such a tiny, reasonably priced board. I am attempting to use the board as a USB host for midi instruments, and there were very few options of boards that had host capabilities. I do wish there were more examples for the specific areas I'm focused on, but the maker has been very helpful. I recommend you give it a whirl, I think you'll be impressed. 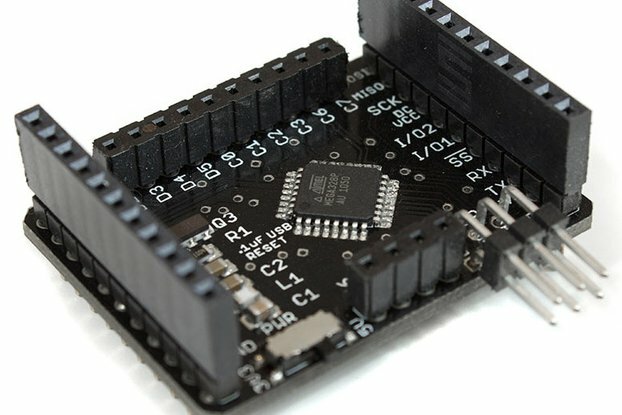 This wunderfull super tiny board can be easily used with Arduino, after installing the official Arduino SAMD21 library. It really amazed me what this tiny little thing can do! And it's fully compatible with all my older Arduino projects, no hassle with porting from AVR to ARM.